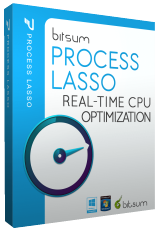 Process Lasso is NOT yet another task manager. It instead contains a fleet of algorithms designed to dynamically boost the performance of your PC. Among them is our famous ProBalance algorithm, which temporarily reduces the priority of troublesome background processes in order to improve PC responsiveness, as shown in real-world and synthetic tests. Further, the user can automate all kinds of system settings with rules and persistent process priorities, CPU affinities, etc..